The cabbage leaf cover has been removed from the redware stewpot of Gumbis. 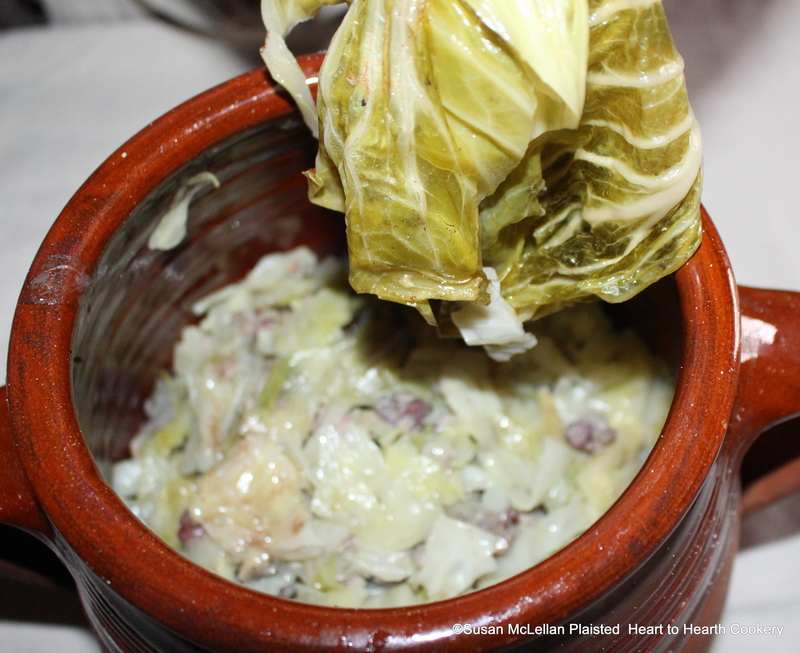 This is a very old traditional receipt (recipe) from Canton, Zurich where it was called Gumbistopfel (pot Gumbis) and consists of a mixture of apples, cabbage, onions and ham hocks. All the basic elements of a Pennsylvania German meal combined in one pot.